Oops - we don't appear to have a video for the DR-6050C. We have been more than happy with the performance of the scanner and with your support and follow up. We also find your sales team to be extremely informative and helpful when we are looking at scanning options and discussing our requirements. Rating of scanner thus far 4 out of 5. 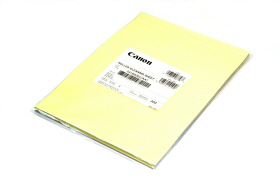 The Canon DR-6050C captures a quick 60 ppm while scanning in colour, and black and white, at resolutions of 300dpi (A4, Portrait). A dedicated onboard image-processing chip achieves full rated speeds even when multiple image processing functions are selected. The frontfeed design of the Canon DR-6050C provides both comfort and convenience allowing you to load, feed and remove documents effortlessly whilst seated. Furthermore, the control panel and job buttons are all designed to be easily viewable at eye-level. Invoices, delivery notes, reports, charts  some of the many documents businesses process every day. The Canon DR-6050C comfortably handles them all, increasing efficiency and reducing paper workload costs. An automatic A3 feeder deals with batches of up to 300 sheets and supports 3 different paper feed modes. The robust feeding mechanism feeds and separates mixed documents with ease and, in the rare event of an error, an ultrasonic double feed detection sensor immediately notifies the user for instant problem resolution. 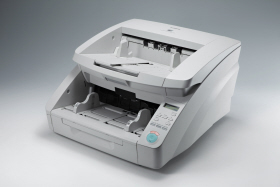 The Canon DR-6050C boasts strong environmental credentials too and is one of the most energy efficient scanners in its class. The Canon DR-6050C iDocument Scanner is designed to take on your toughest workloads and reliably handles suggested daily duty cycle of up to 12,000 scans a day. Canon's CapturePerfect software is bundled with the Canon DR-6050C, with a Capture Perfect Software Developers Kit (SDK) also available for easy, customised integrations.